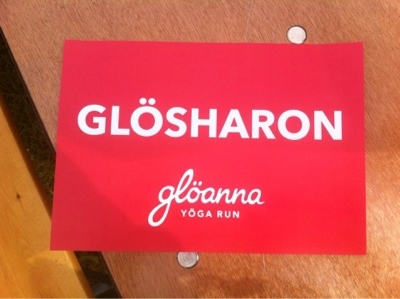 That was the blurb for the run, what caught my eye was that it sounded like great fun. 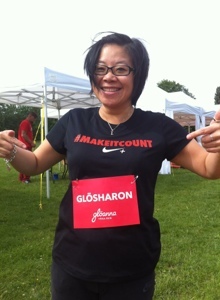 So I signed up with a few of the others girls from various Nike Training Club classes and run clubs. The communication for this event was brilliant on their Facebook page and also by email a few days before the event. It included information about the event, which wave I was in and the time to arrive, directions, what to expect on the day and a map of the course. I had a couple of questions that needed answering, so I emailed the organisers direct. Unlike other events/races I actually got a response from a real human being! Which was definitely a bonus! The day of the event came, I was praying for sun or just a dry day because the day before we had torrential rain in London. The event was set in Alexandra Palace. I have never been there before and I thought to myself, why?! It’s a very beautiful park and you can see the whole of London from the Palace…it was also very hilly! That I didn’t even realise until later…. Myself and Rachel found the event village as we walked down the hill (yep hill..still didn’t click) it was easy to spot because we were greeted by our favourite tent..Vitacoco!!! Oh and also the bright red finishing line. As we were in the first wave, we were told to arrive for 9am to allow time for bag drops etc with a warm up at 9.45am. The vibe I got as I walked through was very relaxed and the event had quite a “hippy” vibe. Everything ran smoothly on the day; our bags were safely dropped off and we were told what was going to happen after we had finished the run. 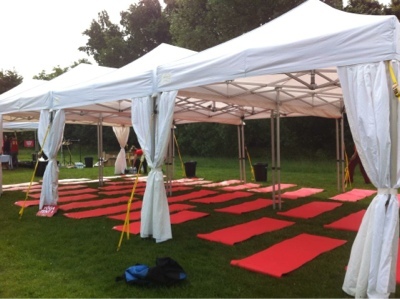 We were told we’d be handed a piece of paper with ‘Tent 1 yoga’ or ‘Tent 2 yoga’ and which ever one we were given that’s the tent we needed to be for our yoga session. It was a very calm and happy environment..
Time for our warm up with Clinton; he walked us through different types of stretches and the benefits of each one. Stretch done it was time for our run..as predicted we had a little chant first and then…. a shot of prosecco! nice touch!This type of run I could get used to! The attitude of the day was to enjoy ourselves and embrace the community and our surroundings. We were not there to smash PB’s! Remember the hills…well we started running through grass and then through woodland and hills and then more woodland and HILLS!! Twice round the course! I haven’t done any training since Nike We Own The Night 10km run; this run now absolutely killed me, not just because of the killer hills and off road running it was because I needed to get back in training again! Anyway the second time round up the massive hill I was ready to give up and stop but thank goodness for my friend Sue being there and encouraging me by telling me not to give up! Big up Sue! We finished and were given some coconut water which is as good as a medal hehehe! The yoga was smelling of incense sticks, this was to relax us. The instructor asked if any of us were new to yoga and told us not to worry because there was another instructor on hand to make sure we were doing the moves correctly. The session was 45mins long, as a novice in yoga I found the moves very fast. By the time I’d got my balance it was straight onto the next move. At times I couldn’t hear the instructor because the music was too loud and also some of the music choices (me personally) were not appropriate for yoga. But saying that I got into it and was knackered after that session and was definitely ready for my brunch. 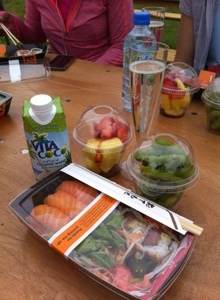 Brunch was a packet of sushi, edamame beans, fruit salad and a glass of prosecco. Very nice. My overall experience of the event was that it was well organised, everything ran to time, which is quite important. The organisers and volunteers were smiley, happy and very eager to help. 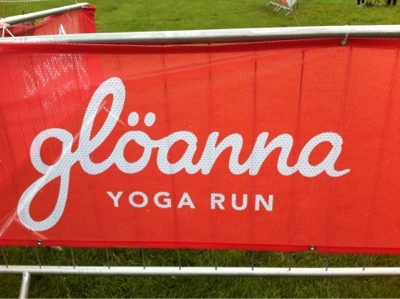 It’s such a great idea of having yoga straight after a run..why hasn’t anyone thought of that before?! It does indeed 🙂 I hope I can attend the next one myself! Maybe you should suggest the idea to a local yoga studio?! Maybe a smaller scale event with a local run club?! Why not! 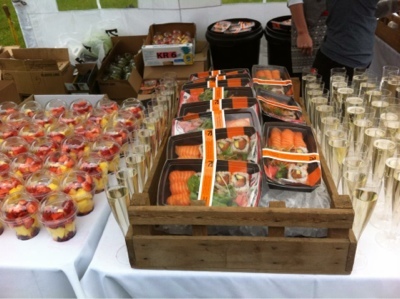 oh wow, actual proper food!the event looks great…..however I was busy indulging in personal shopping at topshop while the run was on! Ahhhhhh you been again?! How was it?! ….I think there's gonna be another one soon! I will be there! For sure! sounds like a very enjoyable and awesome event! Looks like a great event! Way fun!!! That sushi looks so good! Definitely a good race food! The race looks fun – but the food looks awesome. Drooling here!